With advancing technology, it is getting simpler and refiner to do everyday things like scanning barcodes to get more information about products, organizing the inventory and so on. Several Android applications out there will let you qr code reader app at the back of the products using the mobile device’s camera. 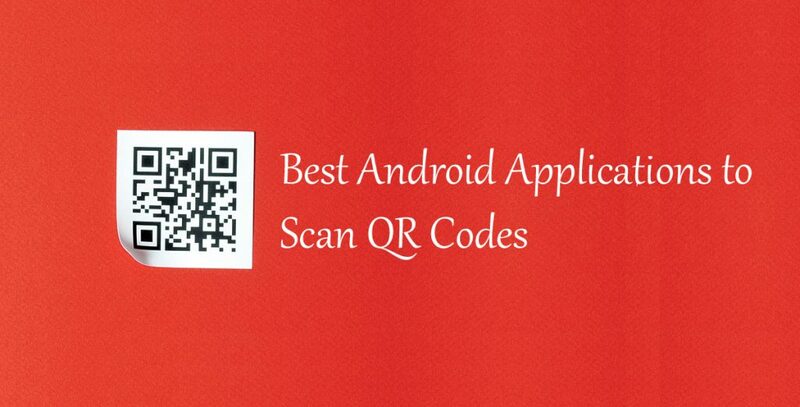 Android devices can now be used to scan different types of QR codes from images, messages, emails etc. Very basic and very simplistic, it is one of the earliest scanners that has been around in the Android space. It handles both UPC codes (which does a quick product search) and QR codes (which will give you options to add contact, show on map, download, etc) with ease and throws in a few extra features (like searching within a book you scan) as a bonus. It also lets you keep a track of all the codes that you have scanned which can prove useful for record keeping. Another attractive featurette is the ability to save photos of the stuff that you have scanned. RedLaser is not merely a barcode scanner but it also gives you a comprehensive list of items listed on the internet for better deals and lesser price than the one in front of you. Scanning the code is pretty simple and it gives you a list of nearby stores in the vicinity having the same product. It is more than just a barcode scanner, it is a holistic shopping scanner. An easy to use scanner, just point and shoot at the QR code. You can even read and scan all QR/barcode types including text, url, ISBN, product, contact, calendar, email, location, Wi-Fi and many other formats. You can even choose to scan coupons and coupon codes to receive discounts and save some money. You can also scan product barcodes with QR & Barcode Scanner in shops and compare prices with online prices to save money. Use this for inventory, cycle count, or other times where scanning is needed. It is the simplest way for crafting a spreadsheet with bar codes in it. You can email in MS Excel XML formats. Another interesting feature is the provision to get time stamps for each scan. Shop Savvy is a very popular and versatile QR/Barcode scanner and a shopping assistant that enables significant savings. Just like the Redscanner it offers comparative pricing for products on different platforms from retail outlets to e-commerce websites. You might face a few limitations in scanning but it is relatively faster when it is able to read the code properly. A product by Google as a supplement to Google Goggles, this app is able to scan the product with the phone camera. It uses the largest image database( of google) to find similar products and list out the different buying options. It offers the option to maintain history, share the discovery of the products and favorite the products. Not just a mere barcode scanner, but QuickMark lets you generate your own barcodes. Imagine throwing a party with your own barcodes and limited entry past scanning the QR codes. One of the innovative uses of QR codes is feeding information like name, ID number, Address and so on and turning the information into a QR code. Useful for formal invitees, meetings and conference type of events. I hope you liked these apps used for scanning barcode. This were the Best free qr code reader android.